Film/TV work includes the soundtrack to 2 x 51 min creative documentary episodes as part of the “Aerial Britain” series with Tile Film Productions for the Smithsonian Channel. Sarah is also currently providing additional music on a number of feature films for LA based production company, ‘E-Quality Music’ whose CEO is Anne-Kathrin Dern. She also recently completed two RTE/EBU funded children’s short films ’All in Good Time’ and ‘Girl at the end of the Garden’ (Dir. Bonnie Dempsey for Dyehouse Films). Her animation work includes additional music on the 52 x 11 minute Lucky Fred 2 series for International broadcast (Imira Entertainment / Telegael / Toonz Entertainment / Televisió de Catalunya / Aeon Entertainment) working with composer, Anna Rice. She is also working as music arranger on the forthcoming animation series, ‘Top Cop’ for Mooshku. In 2017, Sarah was 1 of 4 Irish composers chosen to take part in the IMRO | RTE Film Scoring Program, which awarded her the opportunity to compose and record an orchestral score for a short film ‘Acorn’ (Dir. Kevin de la Isla) with the RTE Concert Orchestra. 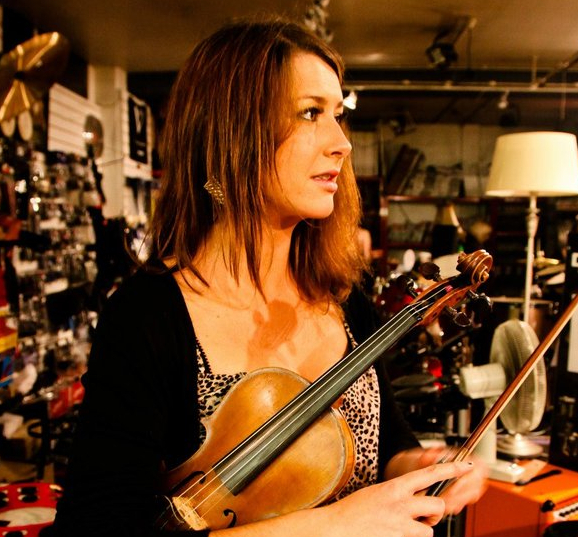 As a touring/session violinist, Sarah has, over the years, performed live/recorded with an impressive range of artists including Hozier, Edward Sharpe and the Magnetic Zeros, Glen Hansard, Paul Brady, Shane McGowan, Mundy, The Coronas, Gavin James, Thanks Brother, Damien Dempsey, Mumford and Sons and Ed Sheeran. She is a scholarship recipient of Windmill Lane’s MA in Scoring for Film and Visual Media, as well as an alumna of Trinity College Dublin, The Liszt Academy of Music, Hungary and the Royal Irish Academy of Music.